Does anybody know what's the alarm? 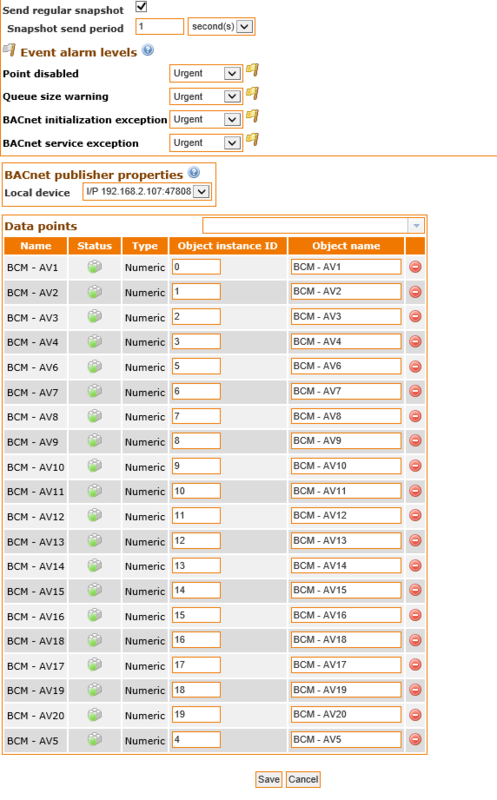 and why other BACnet Clicent can only see few poins not all of the points? I test BACnet publisher, I test about 20 points, and only 8 points can see by other BACnet software, the other points can not see. 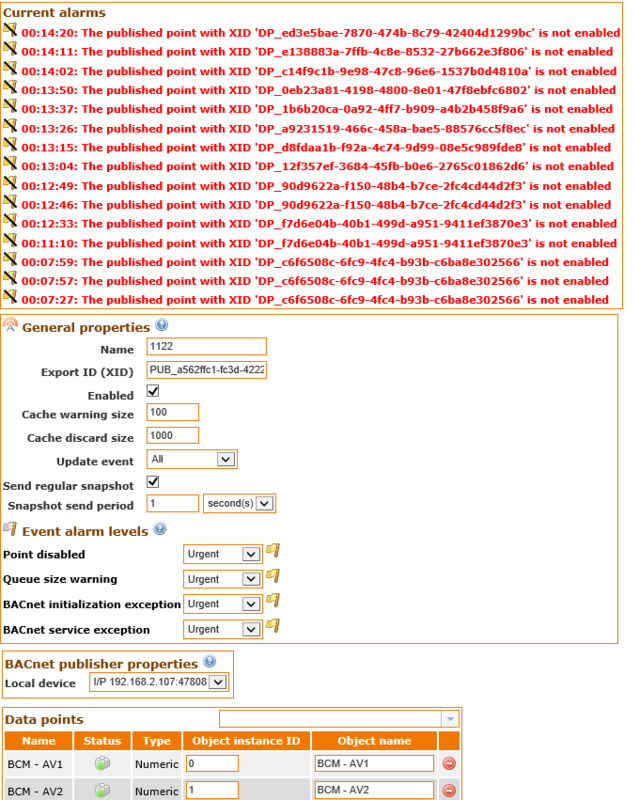 the Mango version is :"free-m2m2-core-3.0.1". Thanks for your replay. I will try to find the proxy server to do this. I can not watch these training video in my place, and now I really want to learn the dasboard. How could I do? Can mango kindly send these training video to my email? I corrected it and now Mango works ok. I install Mango in C drive, the space is enough. PLS check the snap picture. Where is the logs file?